In North America, many municipalities have bylaws mandating the inclusion of parking facilities in new residential developments and commercial buildings. These policies, which date back to about the middle of the 20th century, once served important and practical purposes. First, municipalities feared that a lack of adequate parking would put their businesses at a competitive disadvantage. This concern was especially prevalent in downtown areas of major metropolitan centers, which were economically threatened by the rapid rise of suburban development. Also, neighborhood residents tended to worry that they would have to compete with new neighbors for limited parking. As such, they were reluctant to support new high-density construction projects like apartment buildings and condominiums. Parking requirements solved these issues, but they also supported over-reliance on privately owned vehicles. Thus, as cities continued to grow, traffic congestion and pollution continued to grow with them. They also contributed to urban sprawl, as the amount of space occupied by surface parking lots adds up quickly when aggregated across an entire metropolitan area. Reduced reliance on private vehicle ownership is a major driver of the shift away from parking requirements. Cities are becoming acutely aware of the many negative impacts of traffic congestion, and many have responded with policies designed to make alternatives to solo driving more accessible and user-friendly. This is having a positive impact by making people less reliant on cars, which in turn makes parking requirements less feasible than they were in the past. As some observers have pointed out, parking requirements enabled urban addictions to cars, and getting rid of them will help cities break free. In addition, developers lamented the financial and intangible costs associated with parking requirements, which not only take up precious space but also cost hundreds of thousands or even millions of dollars to fulfill. Eliminating these requirements reduces construction costs, which in turn allows more housing to be built. Getting rid of mandated parking also makes it easier for cities to embrace smart, high-density urban growth models by ensuring that prime real estate is not occupied by something so inessential as a parking lot. How will eliminating parking requirements benefit cities? Lower rent rates. Because eliminating parking requirements increases available housing by reducing construction costs, housing becomes more affordable because supply levels rise. According to a 2016 study, parking requirements add an average of $1,700 a year in rental costs. Eliminating them could lead to big savings, especially for lower-income individuals. Developmental diversity. 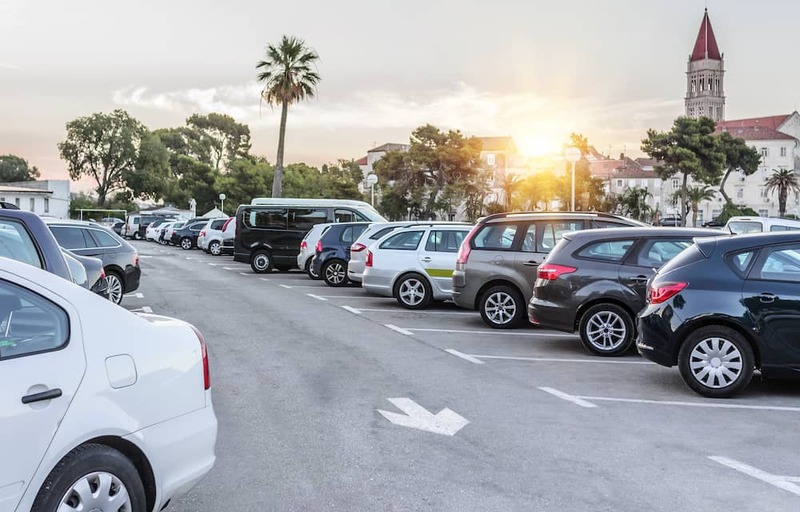 Meeting parking requirements puts limits on the types of buildings that can be constructed, as they necessitate certain architectural and functional characteristics. Getting rid of them allows developers to be more creative. For a few interesting examples, look to downtown Sandpoint, Idaho. Historical building preservation. In Buffalo, and many other cities, parking requirements led to the demolition of numerous historic buildings since they could not be redeveloped while meeting municipal zoning bylaws. Scrapping the requirements will make it easier to preserve and repurpose buildings that were constructed before parking requirement laws existed. How will the changes impact residents? The urban living landscape will begin to change as more and more cities rethink their parking requirement bylaws. Demand for smart solutions like carpooling, carsharing, and emerging mobility models like shared bikes and scooters will continue to grow. People will make more regular use of public transit, and cities will become more walkable as growth densities rise and updated building codes facilitate the creation of innovative mixed-use spaces. Just as municipalities will need to respond by continuing to support the proliferation of alternative modes of transportation, employers will see an increased need to create effective commuter programs. Statistics show that long and difficult commutes frequently lead people to quit their jobs, and businesses will need to offer solutions that support recruitment and employee retention efforts. RideAmigos can be a big help in these areas. Our innovative, comprehensive software platform provides an exhaustive list of administrative and management tools municipalities and businesses can use to make transportation alternatives more accessible. To learn more, get started with a demo or a free analysis of your existing commuter management strategy.